A Stopend is required at each end of a lintel to prevent moisture cascading over the ends into the cavity and onto the inside wall. 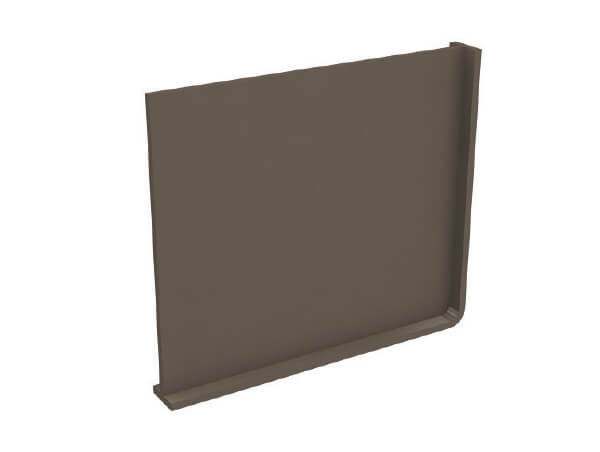 The use of stopends quickly and economically introduces a lintel feature that removes the possible dangers involved with volumes of water being directed into the cavity. IG Stopends are available in two standard sizes. Stop ends can be incorporated into the moulded base of the lintel bya butyl anchoring strip, enabling the stopend to be secured towards the end of the lintels in the most appropriate position to suit the masonry perp joint. When fitted, discharge from steel lintels is directed through brickwork weeps. Why are Stopends used in construction? Ensure the surface of the lintel is clean and dry. Remove protective covering of anchoring seal on bottom of stopend. Position to suit perp joint nearest the very ends of the lintels.